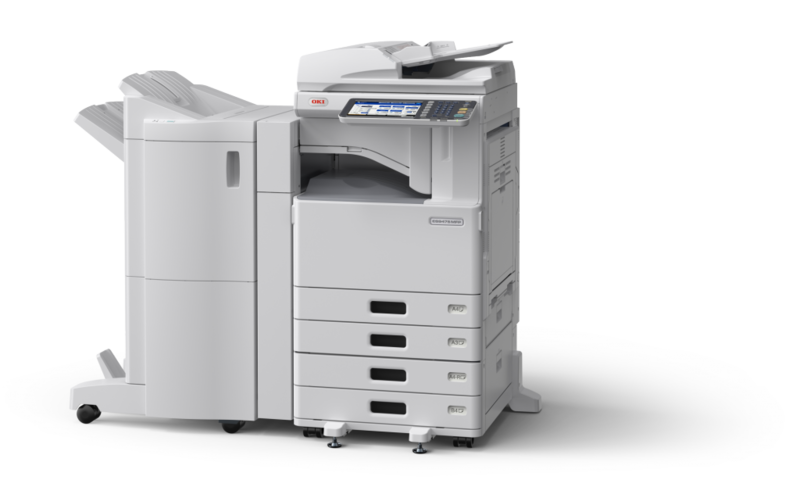 Built to serve large workgroups and busy departments, the ES9465 MFP combines High Definition colour printing with superior performance, making it easy to generate a wide range of professional documents in-house. Advanced security features help protect and manage confidential documents while seamless integration with document workflows enable businesses to keep productive. Seamlessly integrating into document workflow, the high-performance ES9465 MFP A3 colour multifunction printer combines flexible open-architecture with advanced security and eco-features, saving energy and maximising performance for large workgroups.Optional 2 to 4 paper trays of Large Capacity Feeder. This device is largely used in the real estate market or by cystomers like us who want to be able to print brochures inhouse on demand. Meeting the requirements of the busiest workgroups and departments, the high-performance ES9465 MFP combines digital LED print technology with versatile paper handling and flexible finishing options, enabling businesses to produce a wide range of high-quality professional documents in house. 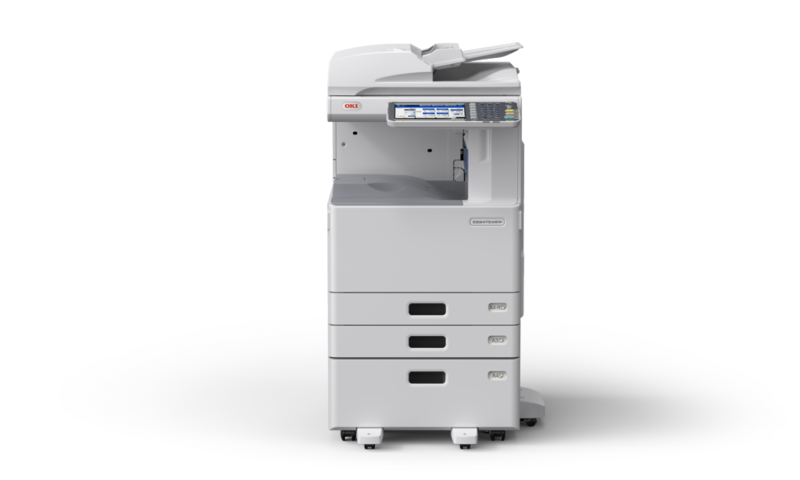 Keeping confidential business documents and customer data secure in busy departmental settings, the ES9465 MFP features advances security features including user authentication to prevent unauthorised access. Boost document workflow – smart features combined with OKI’s sXP (smart Extendable Platform) flexible open-architecture technology enhances productivity with fast, efficient electronic document capture, distribution and management. 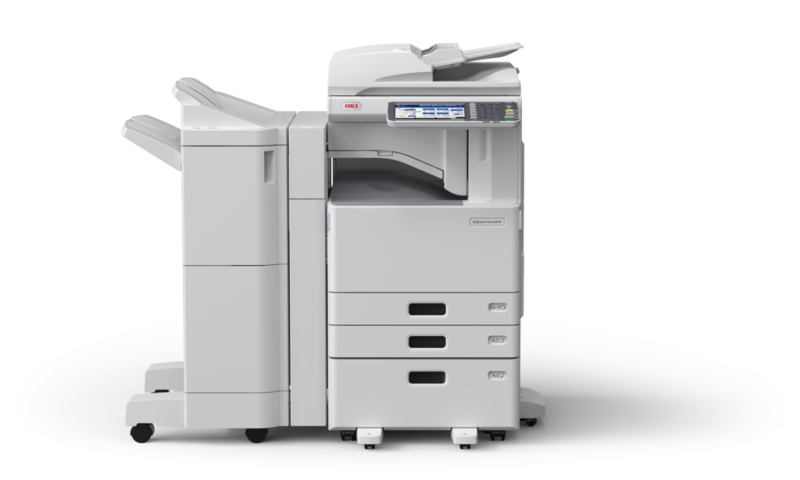 In-built eco-features in the robust ES9465 MFP help reduce energy consumption, environmental impact and ongoing costs.